Our 2017 Small Business Startup Guide PLR Pack 2 covers Creating Your Portfolio and Work Samples. The second pack in a series of many! Searching for high quality business related content to grow your list and present as a free gift or paid ebook for your readers? Need content that speaks to the business start-up and work-from-home crowd, to use in your coaching programs, workshops, and videos? Hi there, this is Dina of Wordfeeder PLR. I'm back with our second installation of Small Business Startup Guide PLR in this ongoing series. If you have not yet ordered or didn't know about it, last week I released PLR Pack 1 of the same title just a few days ago. My idea was that internet marketers and small business coaches might want some high quality ebook content on how to start a small business. But then I thought that instead of just offering all the content in one ebook, people might like to pick and choose the topics and PLR packs that work best with whatever they teach clients. 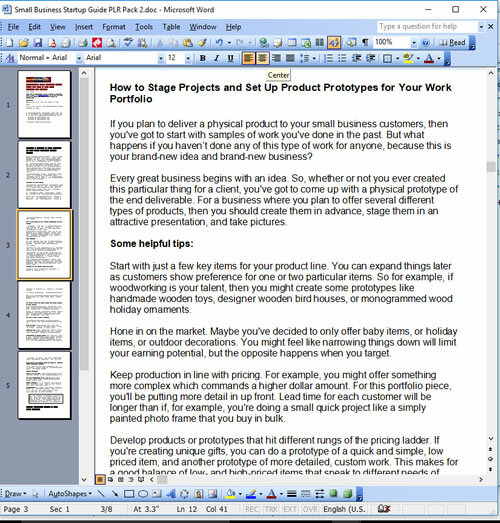 More Small Business Startup Ebook Content is Coming Soon! I have much more business startup related content that I'm planning on adding on to this series. 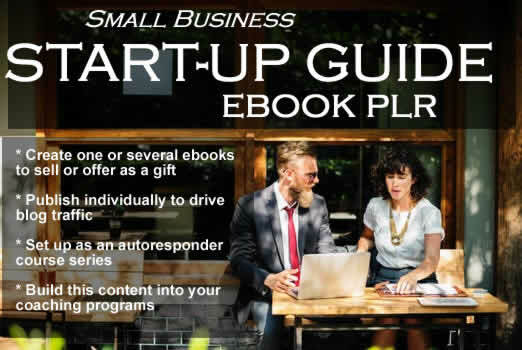 The end result of putting all the PLR together is a complete, comprehensive Small Business Startup E-Guide, and I encourage you to make it into exactly that if you think it's something your people would respond to and appreciate. Wordfeeder's Small Business Startup Guide PLR Pack 2 is just the beginning. If you'd like to get your first taste of where I'm going with the Small Business Startup Guide PLR, then grab your copy of Pack 2 in the series. There is more content coming very soon, and I'm excited to get it out to you as soon as possible. Please note: If you've not yet picked up our Small Business Startup Guide PLR Pack 1, you can do so right at checkout after clicking the BUY NOW button above.